Deep tissue massage focuses on the relief of severe tension in deep muscle fibres, fascia and connective tissues. At Laurel Lodge Physiotherapy our advanced palpation skills, enable us to get to the source of your musculoskeletal pain and treat it there. Patients suffering with chronic or acute neck, shoulder girdle or lower back pain often benefit from the realignment of deep muscle fibres and soft tissues that follows from deep tissue massage. 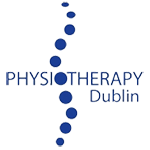 Deep tissue massage focuses specifically on trigger points or taut bands within skeletal muscle which chartered physiotherapists are trained and experienced at palpating. Deep tissue massage techniques help isolate these trigger points, realign muscle fibres, and help with the reperfusion of ischaemic tissue within skeletal muscle. Athletes, sports people or dancers that place high demands on their musculoskeletal system through daily training and performance also benefit from deep tissue massage. Over time the natural process of training and overload on the musculoskeletal system can lead to the development of trigger points and taut bands within muscles. Stretching as part of a cool-down helps to prevent this but sometimes a little further help is required. This is when deep tissue massage becomes particularly effective. Whether you’re an athlete or a sports person or a sufferer of neck, shoulder or back pain, why not book your deep tissue massage at Laurel Lodge Physiotherapy today. Feel the immediate improvement in your performance or reduction in your symptoms.